After finding the series of Saturday Evening Post articles I posted about yesterday, I went on a hunt to see if I could find the magazines. 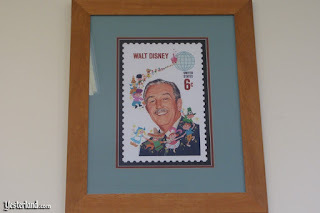 While searching on Ebay I came across a Walt Disney postage stamp and bought it on a whim. This framed copy of the Walt Disney stamp is in the Post Office in Marceline, Mo. My curiosity was aroused, so I decided to research the story behind the stamp. 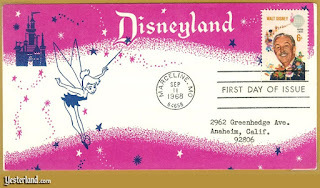 Most of my information, as well as the pictures in this post, come from the blog Yesterland, and it's post by Edward Bergen, which was published on December 2, 2011. 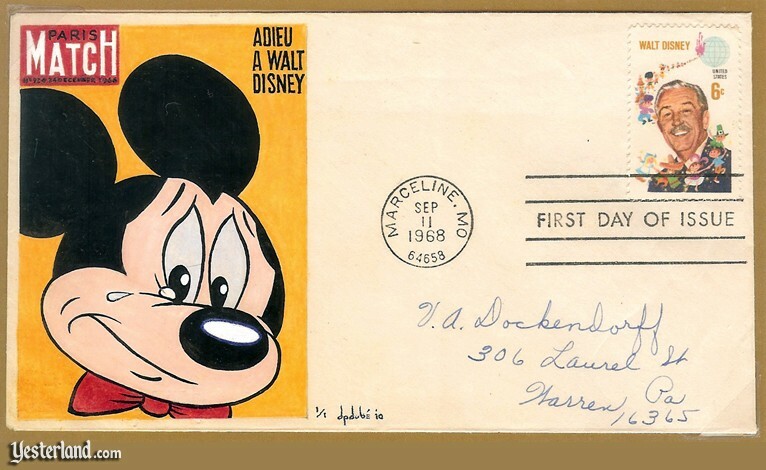 At that time the US Postal Service had a strict policy that no one, with the exception of a US President, shall be considered for a postal tribute until at least 10 years after their passing, Walt had passed away less that 2 years before this stamp was issued on September 11, 1968. We have then California Governor, Ronald Reagan, and several US Congressmen and Senators to thank for convincing the Postmaster General at that time, Lawrence F. O'Brien, to issue the commemorative stamp. The "First Day of Issue" Ceremony was held in Marceline, MO, which I am sure would have made Walt very happy. 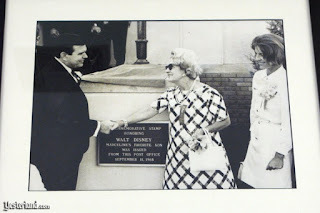 It was such a big event the Governor of Missouri, Warren E Hearnes, declared it "Walt Disney Day" in the entire state. 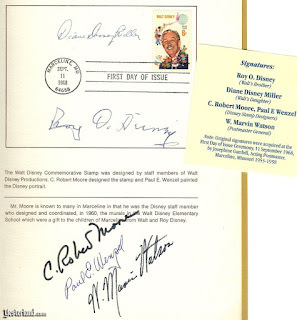 Roy, Lillian and Diane were all in attendance, as were the co-creator of the stamp - C. Robert Moore and Paul E. Wenzel. Don't you just love these? It is such a great tribute to Walt, and notice that the top two were actually used to mail letters!! Some of the covers are very hard to find, in fact the Disney Company has even used some of the covers to create unique collectibles. 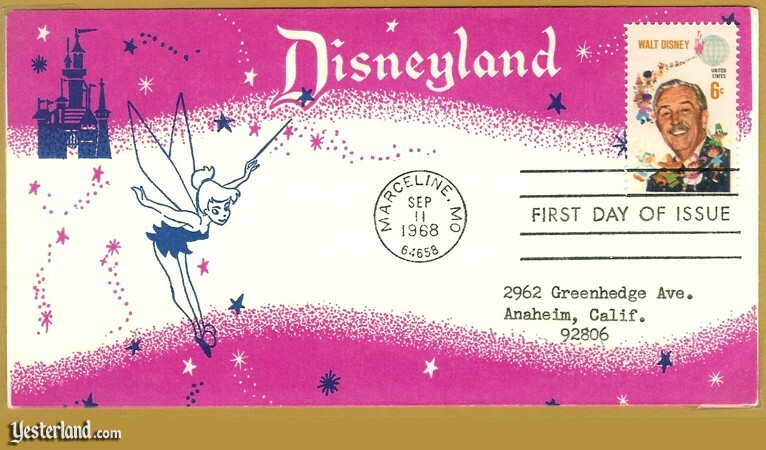 Please be sure to check out the original article from Yesterland, it has even more information about both the stamp and this event.